A large portion of High School graduates are expected to work their way through college. As they do, they’ll be looking for job experience and career opportunities. One of the best business decisions you can make as a BIZNOVATOR Franchisee, is to provide opportunities for teenagers. This is why a key tenant of our business model “staffing and team building” includes a component that encourages our franchisees to onboard BIZNOVATOR Interns to help them scale their business. 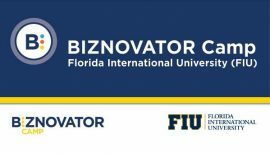 At BIZNOVATOR, Interns have a unique opportunity to learn about global leadership, social entrepreneurship and innovation while working alongside franchisees and executives at a fast paced, purpose driven company. Generation Z students make up 25% of the U.S. population. One of the main reasons why Gen Z interns are considered an added value to your start-up venture is because they grew up surrounded by advanced technology and are the most tech-and social savvy generation. Because BIZNOVATOR integrates and depends on technology to help run all of our programs and servcies, Gen Z interns can play a major role to help you with your growth. What’s in It for the BIZNOVATOR Intern? There are many benefits for interns. 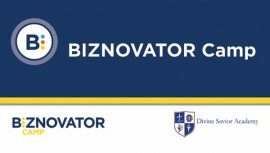 Specifically, BIZNOVATOR Interns gain valueable job experience, certifications, community service hours, exposure with major corporations and organizations. These are key value points that can be a springboard for a young persons future career, whether as an entrepreneur or employee of a corporation. 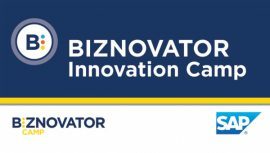 As a franchisee, there is no greater gift you can give a young person than an opportunity for them to learn, grow and thrive at a dynamic, purpose driven company like BIZNOVATOR. We empower youth and our BIZNOVATOR Intern program is another value point to help you grow your business. What’s in it for the Franchisee? A well trained and accountable intern can assist you with your social media, website or general marketing goals. We highly encourage our franchisees to engage with and listen to Generation Z as they are our future and can guide us on the things that matter most to this digitally connected generation.